The highly anticipated first official trailer for Stephen King's It has dropped, and it will be invading your nightmares for weeks to come. New Line Cinema’s upcoming horror thriller was directed by Andrés Muschietti (Mama), is based on the hugely popular Stephen King novel of the same name. 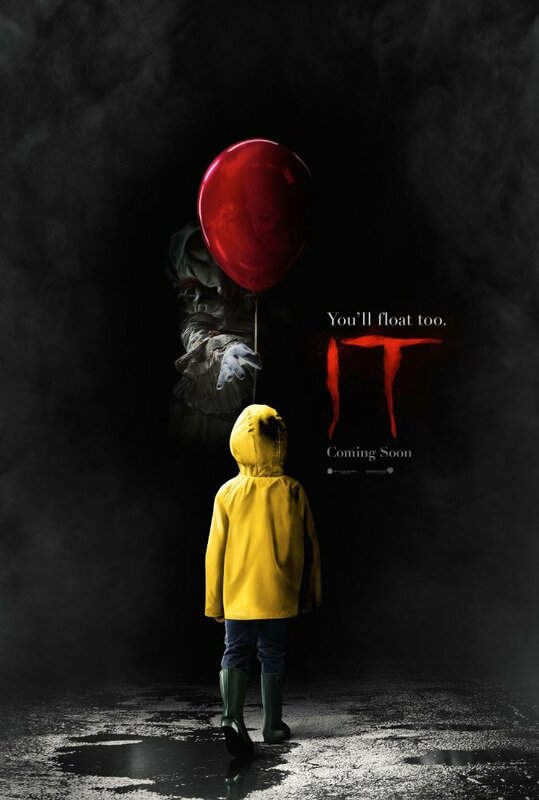 The storyline revolves around a group of young kids in Derry, Maine who come face-to-face with their worst fears when they square off against an evil clown named Pennywise, whose history of murder and violence dates back for centuries. The cast of IT includes: Bill Skarsgård (Allegiant, TV’s Hemlock Grove) as Pennywise the clown, Javier Botet (Mama, The Revenant) as The Leper, Jaeden Lieberher (Midnight Special) as Bill Denbrough, Jeremy Ray Taylor (Alvin and the Chipmunks: The Road Chip) as Ben Hanscom, Sophia Lillis (37) as Beverly Marsh, Finn Wolfhard (Netflix’s Stranger Things) as Richie Tozier, Jack Dylan Grazer (Tales of Halloween) as Eddie Kaspbrak, Chosen Jacobs (Hawaii Five-0) as Mike Hanlon, Wyatt Oleff (Guardians of the Galaxy) as Stanley Uris, Nicholas Hamilton (Captain Fantastic) as Henry Bowers, Owen Teague (Bloodline) as Patrick Hockstetter, and Logan Thompson (Fear Thy Neighbor) as Victor Criss. The adapted screenplay was penned by Chase Palmer, Cary Fukunaga, and Gary Dauberman. The producers on the film include Dan Lin, Roy Lee, Seth Grahame-Smith, David Katzenberg and Barbara Muschietti, with Marty P. Ewing, Doug Davison and Jon Silk serving as executive producers. Check out the all new fear-inducing trailer above.